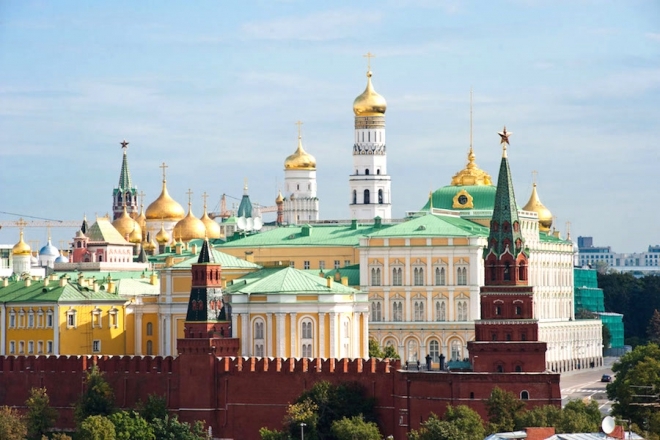 The Russian Kremlin remains the place that creates a lot of questions from travellers. We understand how confusing it can be. Really! Below we have put together answers to the most popular questions about the Kremlin Russia or Kremlin Moscow or whatever else it is called. Today the Kremlin means fortress. In earlier times it rather meant a fortified town, a town surrounded by a wall. Towns grew over times, their population settled outside the walls, and the meaning of the word Kremlin transformed. The most accurate Russian explanation of it now is a fortress inside the city. 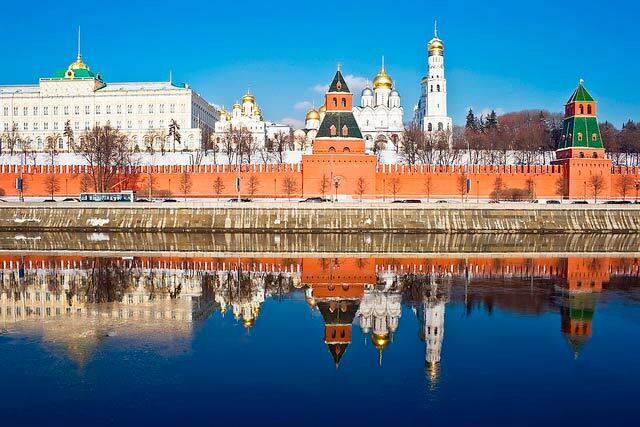 The Kremlin is located in Moscow, the Russian capital. Is the Kremlin at Red Square? The Kremlin eastern wall boarders Red Square. In Russia, is there one Kremlin or many? Many. More than 20 Kremlins in Russia preserved till nowadays. Today, when someone says “the Kremlin” or“the Russian Kremlin” they mean the Kremlin in Moscow. Some of the Russian Kremlins: Ryazan Kremlin, Smolensk Kremlin, Rostov Kremlin, Tula Kremlin, Pskov Kremlin, Kazan Kremlin and others. Is there St. Petersburg Kremlin? Unfortunately, there is no Kremlin in St. Petersburg. Only Russia’s oldest (medieval) cities have fortresses calledkremlins. St. Petersburg is a relatively your city (founded in 1703) and there are two fortresses there: Peter and Paul Fortress and Kronshtad. What is the Kremlin used for today? an Official (working) Residence of the President. Our President does not live inside the Kremlin. Why was the Kremlin built? Some 5 – 10 centuries ago, when times were unstable, every town or city required protection, i.e. fortified walls, from external enemies. And so did Moscow. 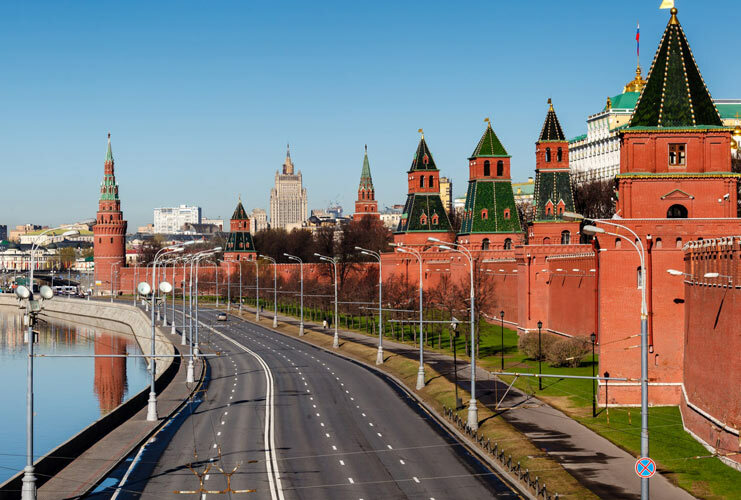 The current redbrick Moscow Kremlin Wall was built at the turn of the 15th and 16th centuries. It is not the original wall, as the first (wooden) wall was erected with Moscow’s foundation (in 1147). There were many versions of the Kremlin wall between the 12th and early 16th centuries. They were burnt or destroyed by enemies (mostly Tatar Mongols). As for the structures inside the Kremlin Moscow, their construction dates vary – from the end of the 15th century to the 1960s. Italian architects built the Kremlin Wall. They were considered as best in Europe and that is why they were invited by Tsar Ivan III to construct the country’s main fortress. Among them were Anton and Marko Friazin, and Pietro Antonio Solari. 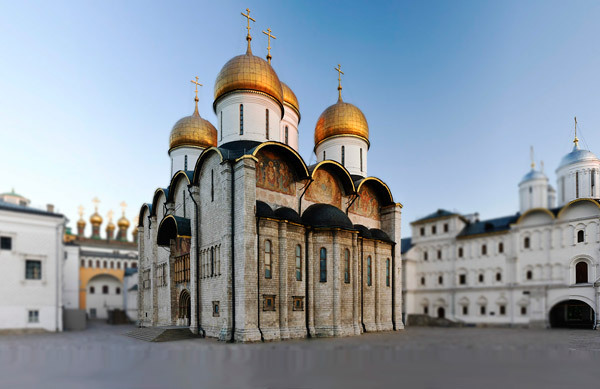 The most important Russian Kremlin Churches – Assumption Cathedral and Archangel Michael Cathedral – were constructed by Italian architects Aristotele Fioravanti and Aleviz Noviy. Okay, I got the basics. So what to see inside the Kremlin? Any tips? Otherwise trust your Kremin visit to us and book one of our Kremlin Tours! 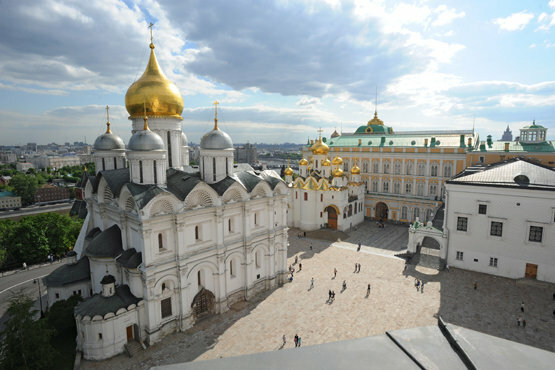 We know everyting about it and will make sure your visit to Kremlin will be as smooth and excting as possible!